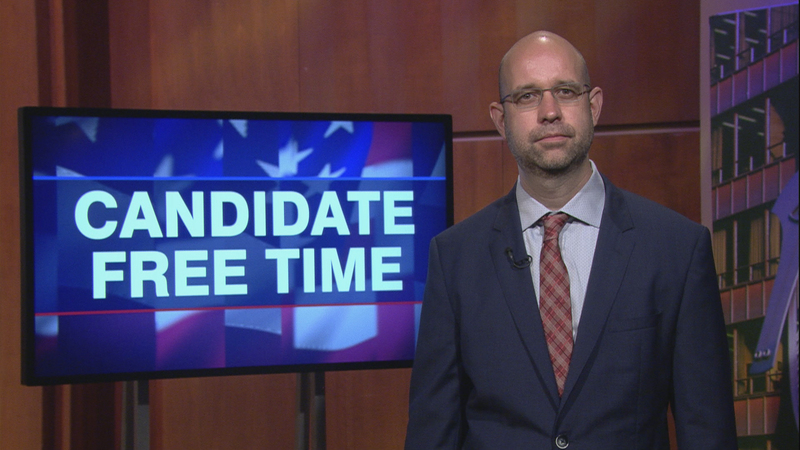 Video: Thomas Rudbeck tells voters about his platform. Learn more about Candidate Free Time. My vision is too advocate for legislation which will rebuild our infrastructure, protect our air and water, legalize marijuana, end the drug war, provide capital access to small businesses, protect our 4th amendment rights, protect our property rights, create a public option for health insurance via making Medicare available to all citizens, use the office as a bully pulpit to engage private money to invest in the first district creating local ownership of property and businesses and be a moral voice in opposition to the attacks by Attorney General Sessions on our Constitutional freedoms. Violence and economic opportunity. These two issues are inseparable. First, we must pass a Federal Infrastructure Bill, which will replace all the lead pipes in our district, repair our bridges and create an environmentally intelligent energy grid. This injection of money will create jobs in our district. Second, we will legalize Marijuana which will: create small businesses and jobs, begin the process of criminal justice reform and provide $250 million dollars per year to our tax base which can fund public education. Third, we will put a hard cap on property taxes based upon market value, which will make our ground fertile for an economic rejuvenation. Hey Chicago, my name is Thomas Rudbeck and I am the Independent Candidate running to Represent Illinois’s First Congressional District. I am a businessman, who has spent the last 10 years developing local businesses and creating jobs right here in Chicago and our southwestern suburbs. I discovered that high property taxes and overregulation make creating jobs almost impossible. We can walk down too many streets in our district and see the vacant lots. Property taxes have increased tenfold over the last 30 years, causing many property owners to abandon these buildings. The interconnection of property taxes and public school funding creates a negative cyclical vortex which feeds off itself: taxes go up, businesses close / residents leave / schools lose funding / taxes increase / repeat cycle. We must uncouple property tax funding for our schools, it destroys the economic ecosystem of a local community and underfunds those schools which already have the least funding. The state of Illinois is what is called a donor state to the federal government, which means we send more money to Washington D.C. then we get back. I will fight to change this. The Washington Politicians bailed out Wall Street, we need our tax dollars invested in our streets. We will fund intelligent infrastructure projects, replace all the lead water pipes, repair our roads and bridges and develop an energy infrastructure for the 21st century. Ending a failed drug war is key to fixing our justice system. We start by legalizing cannabis for recreational use. This solves 3 problems: criminal justice reform, small business creation and funding our public schools to the tune of $250 Million dollars per year. We can provide for our Military Veterans to whom we owe the debt of freedom, provide a public option for affordable health care, so no one ever goes bankrupt for getting sick, reduce our property taxes, end corporate welfare, bring our money back from Washington and save our planet. Machine politicians have worked to shut my campaign out. We need solutions, not more politicians who think these are lifetime jobs. I have the real-world experience to create economic development in our district. Check out my plan to solve these issues at thomasforfirst.com. We are one People, all of us Americans, who have more in Common than many would have us believe. I respectfully ask for your vote this November.